Role of occupation medicine in emergency preparedness | PHILIPPINE COLLEGE OF OCCUPATIONAL MEDICINE, INC.
Is your company ready for an emergency? 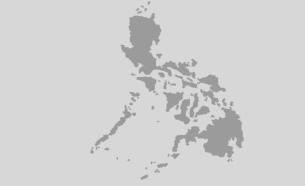 The Philippines is situated in the Pacific Ring of Fire. Being in the Ring of Fire means volcanoes have strong seismic activities; fault lines and tectonic plate movements possess threat of large-scale earthquakes. Furthermore, the country lies along the Pacific typhoon belt. It is prone to erratic weather conditions like torrential rain, extreme winds, and floods. In fact, the Natural Disasters Risk by the British advisory firm Maplecroft and the World Risk Index by the United Nations University consistently rank the Philippines as one of the most disaster-prone countries in the world. It is just logical for occupational medicine (OM) practitioners in a disaster-prone country to be especially attune to the issues regarding workplace emergency situations that might occur in their companies. According to the US Department of Labor Occupational Safety and Health Administration’s handbook How to Plan for Workplace Emergencies and Evacuations (2001), an emergency means “any unforeseen situation that threatens employees, customers or the public. It may be natural or manmade and may cause physical or environmental damage.” The role of OM physicians cannot be overemphasized. These have evolved from providing direct clinical care for victims of occupational disasters to a longstanding involvement in disaster planning and workforce protection from disease and injury. According to Dr. Tee Guidotti, former president of the American College of Occupational and Environmental Medicine, “Occupational medicine service is in a favorable position to assist employers on issues of emergency management and disaster planning. Occupational physicians have special training on chemical, biological, physical, and psychological hazards in the workplace that translate readily to emergency management,” as stated in his book The Praeger Handbook of Occupational and Environmental Medicine (2010). OM physicians have special dual knowledge of the workplace as well as the necessary clinical issues. This knowledge and skill set may be essential for business continuity under catastrophic situations and goes beyond the interests of the enterprise: the OM physician plays an important role to protect the production of goods and services that are essential to the community and to economic recovery, which is one definition of critical infrastructure. OM doctors should be highly knowledgeable in emergency management. Dr. Guidotti mentions the four phases of the classic model of emergency management: preparedness, response, recovery and mitigation. [Haddow GD, Bullock J, Coppola D. Introduction to Emergency Management, 2008] Preparedness involves planning; organizing communications and transportation systems; acquiring and deploying assets and equipments; and training of personnel. Response involves emergency services in fires; provision of essential services and security, as well as temporary substitution of essential infrastructure. Response facilitates relocation or evacuation, management of the immediate consequences of the event, short-term business continuity for critical services and products, and delivery of health care. Meanwhile, the third phase, recovery, involves restoring conditions to the same or comparable functionality as before the event, like repairing essential infrastructure, essential services, and business initiatives. Mitigation, the last phase, involves long-term strategies to reduce the vulnerability of the community or enterprise to emergencies by strengthening infrastructure, changing location, or increasing the staffing of support functions, by using risk assessment and managemen methods. However, presently, the doctor services in most companies are outsourced to health management organizations or HMOs. This arrangement limits the responsibilities of the doctors to outpatient consultations. In many instances, the doctors have limited access to relevant information and have no participation in the formulation and review of disaster preparedness and emergency response policies. The absence of an OM physician’s perspective in the Occupational Health and Safety Committee (OHSA) may be detrimental to the company. It is ideal that key people, including OM doctors, are selected to comprise the OHSA. Company policies and procedures should be documented according to OSHA’s Emergency Action Plan Standard for the protection of individual workers, and the protection of the capacity of the labor force to do its job productively.